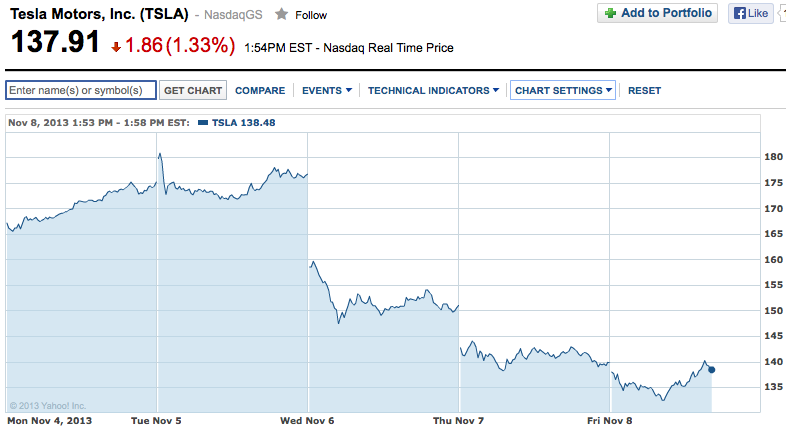 Tesla went from a high of over $180 per share earlier this week to, at one point, under $135 per share on Friday. The company’s shares have been over valued for awhile, and a modest earnings report sent the stock falling this week. Will it head back up or even more down next week?